Santa Clara-based 3D printing startup Arevo has created a bike with its technology and raised a Series B round of funding. Five Bay Area startups disclosed more than $100 million in funding at week’s end and Google bought another one. • Parsable Inc., San Francisco, $40 million: Future Fund led the Series C round for this provider of a digital workflow platform for deskless industrial workers. It was joined by B37 and return backers Lightspeed Venture Partners, Airbus Ventures and Aramco Ventures. • DigiLens Inc., Sunnyvale, $25 million: Continental AG invested in the Series C round of this augmented reality display maker for autos, planes and other devices. Read more here. • Mynd Property Management, Oakland, $20 million: Lightspeed Venture Partners led the Series B round for this property management tech startup. It was joined by return backers Canaan Partners and Jackson Square Ventures. 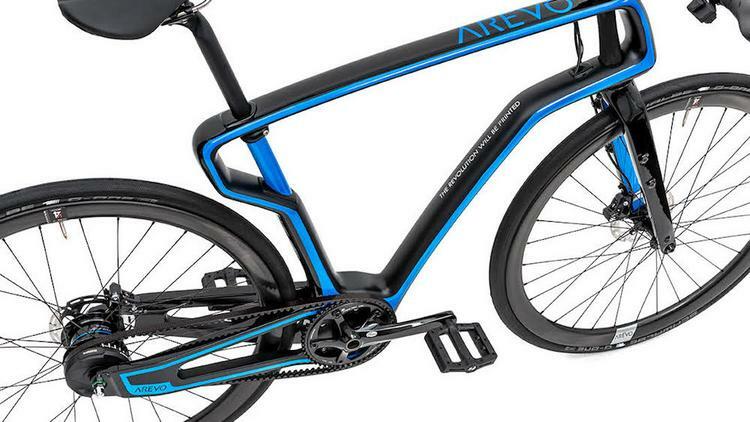 • Arevo, Santa Clara, $12.5 million: Asahi Glass led the Series B round for this creator of a 3D printed carbon bike. It was joined by Sumitomo, Leslie Ventures and Khosla Ventures. • BlueCart Inc., Mountain View, $5 million: Greycroft led the Series B1 investment in this hospitality industry marketplace and sales enablement platform provider. • Cask Data Inc., Palo Alto, undisclosed amount: Google acquired this Big Data analytics startup that had raised around $40 million from firms that included Insight Venture Partners, Ericsson Ventures, Battery Ventures, AME Cloud Ventures and Ignition Partners.